Akshay Kumar’s forthcoming film based on the Battle of Saragarhi, has been officially titled “Kesari”. 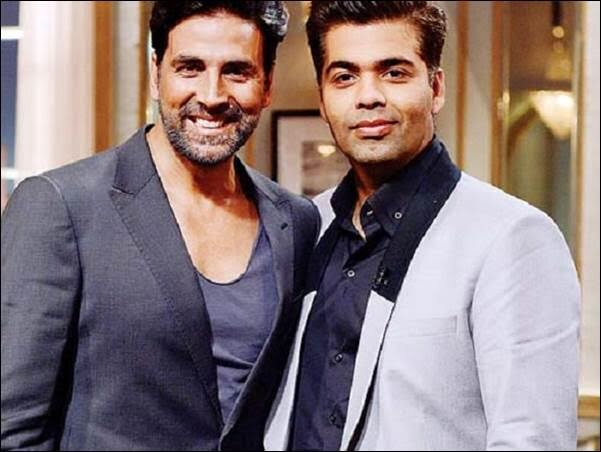 Releasing worldwide in cinemas on Holi 2019, the film marks the reunion of Akshay Kumar and filmmaker Karan Johar, who will produce the film respectively under their companies Cape of Good Films and Dharma Productions. 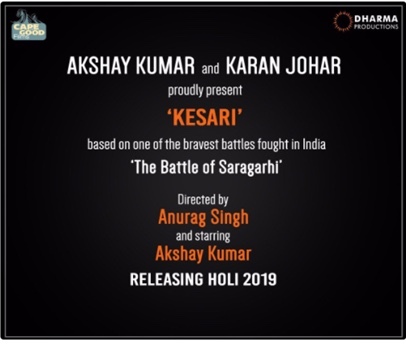 The Twitter handle of Karan Johar’s production house shared a poster revealing the details of the film: “Akshay Kumar and Karan Johar proudly present ‘Kesari’ based on one of the bravest battles fought in India The Battle of Saragarhi. Directed by Anurag Singh and starring Akshay Kumar. Releasing Holi 2019″. 16 queries in 0.596 seconds.